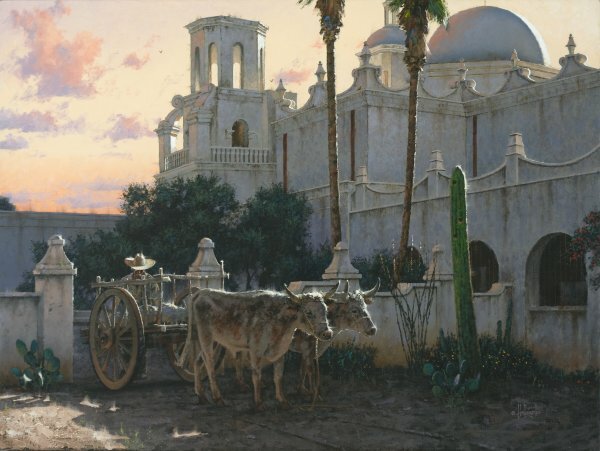 Founded in 1692, Mission San Xavier del Bac is situated in the center of a Papago Indian settlement, along the banks of the Santa Cruz River, approximately seven miles south of present day Tucson, AZ. Construction required fourteen years of labor from 1783-1797. 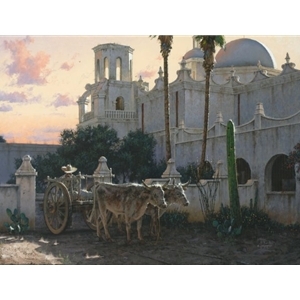 The mission has been restored many times and has kept the beautiful white stucco exterior, thus the name: The White Dove of the Desert, “La Paloma Blanca”.